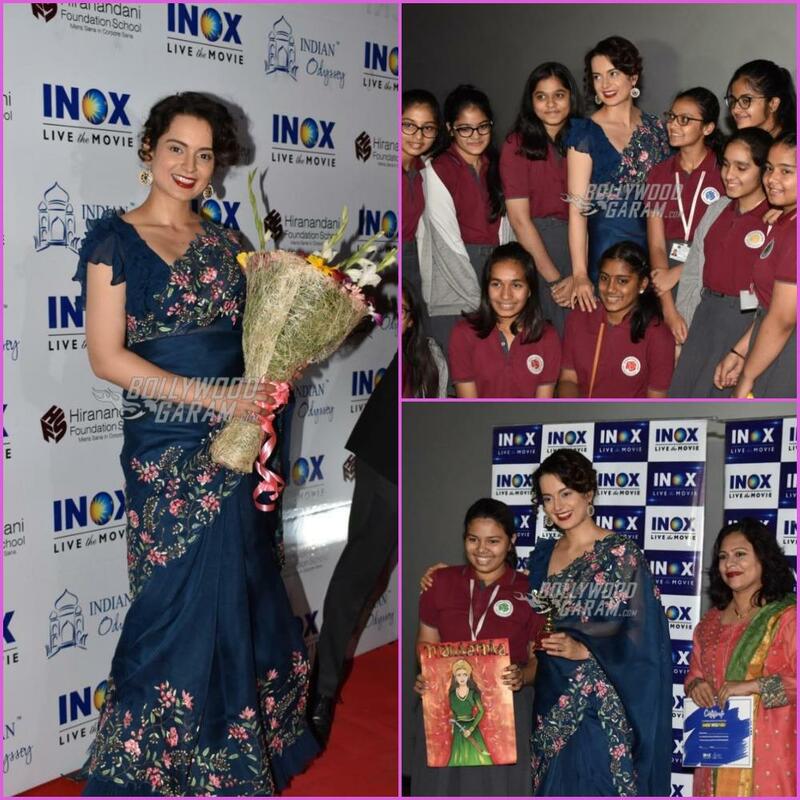 Kangana Ranaut hosted a special screening for her film Manikarnika – The Queen of Jhansi for school children in Mumbai on February 7, 2019. 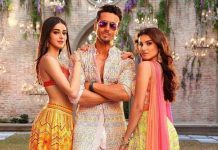 The film was released in theatres on January 25, 2018 and continues to do a good business at the box office. 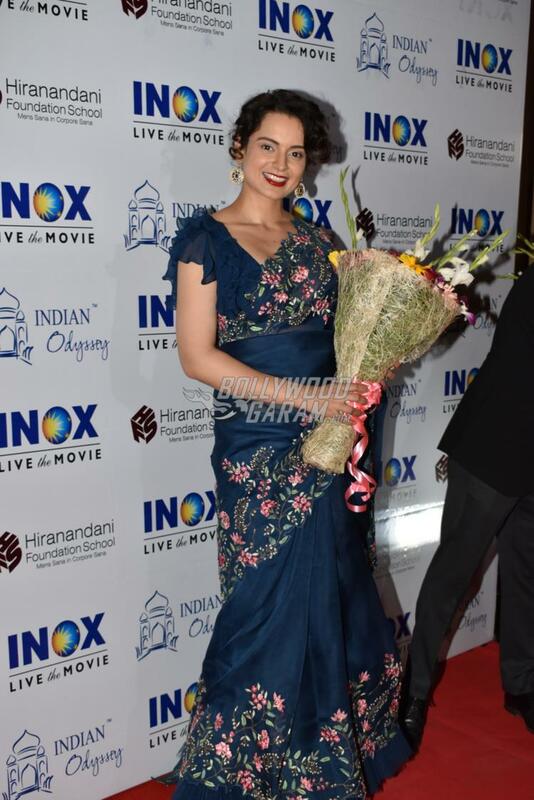 Lead actress Kangana Ranaut is at the receiving end of appreciation from the audience and critics and is fast inching towards the Rs. 100 crore mark. 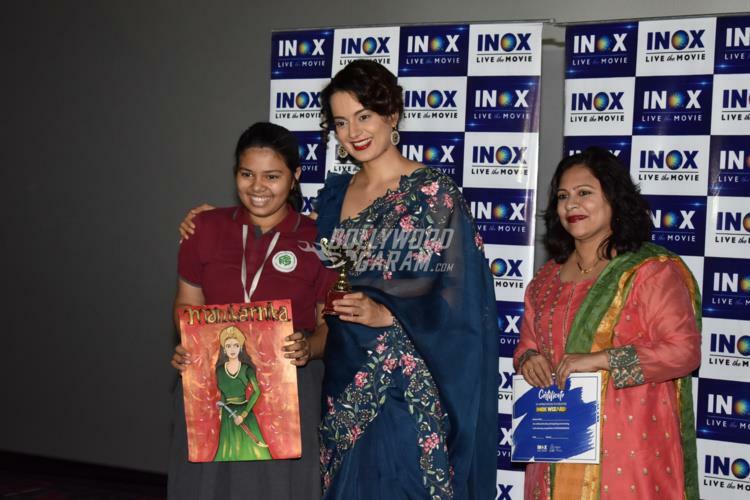 The special screening event saw the presence of school children, who were mostly girls. Kangana during the screening had revealed that it was her dream that when she directs a film she would keep in mind about the audience. The actress in the past has done several films like Fashion and Gangster and has been appreciated for her performance but the kids could not watch. Manikarnika – The Queen of Jhansi became a film that could be watched by the kids as well. 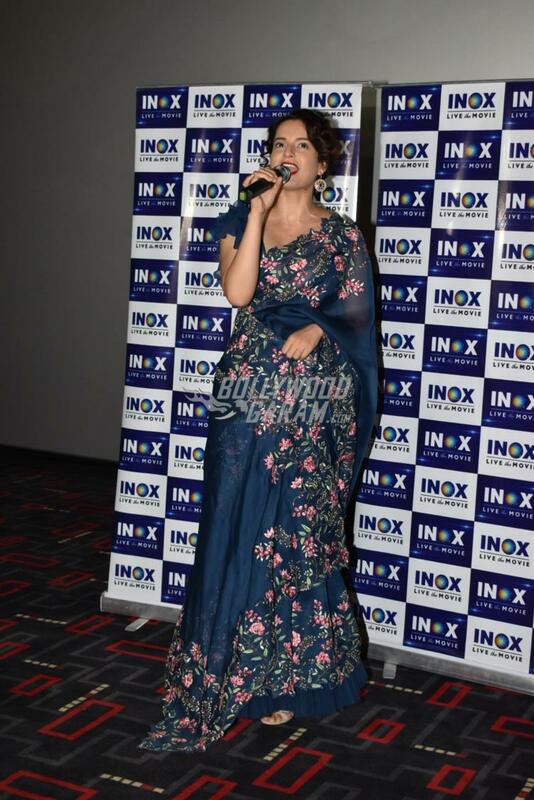 Kangana at the screening event looked beautiful in a blue sari with subtle embroidery with a flared blouse and sported minimal make-up.